This week had been one of the worst in months for cryptocurrency hodlers, as all cryptocurrencies had been hit by a new impulsive wave of selling. According to coinmarketcap.com, the global market cap had dipped from $186 billion on November 18th, to $142 billion at the time of writing. 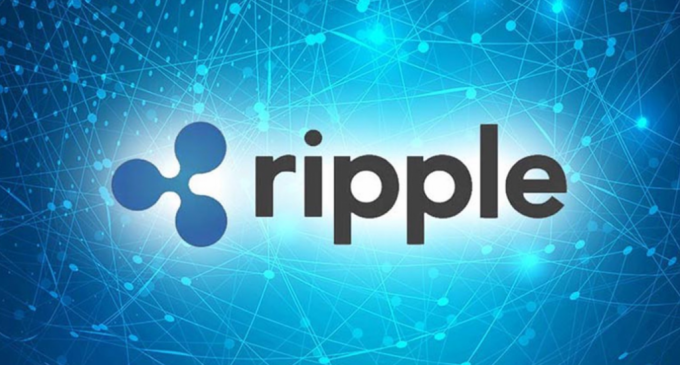 However, despite this selloff, Ripple is the only major cryptocurrency which had managed to hold ground, even though the price still edged lower. We’ve mentioned in our last weekly crypto analysis how Ripple is the coin less hurt by the selloff and that is still in place almost a week later. 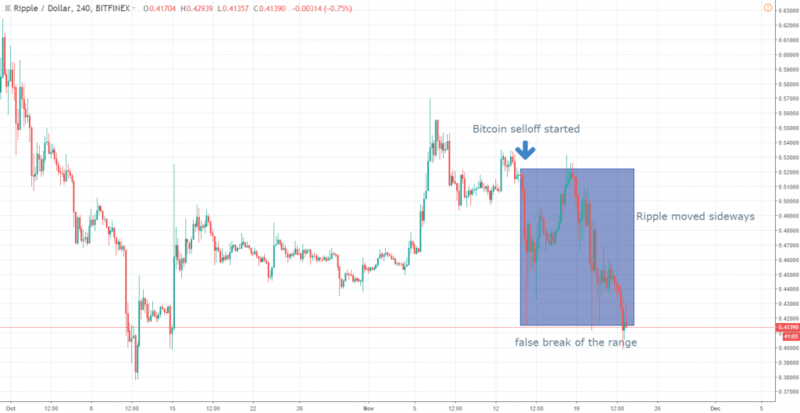 Since the Bitcoin selloff had started, the Ripple price had fluctuated inside a range formed by 52 cents and 41 cents price levels. Sellers had not been able to break impulsively below the range, confirming that buyers are willing to step in at the bottom. Also, Ripple is less than 20% down and sellers do not seem to have the same strength as we can see in Bitcoin or Ethereum. What’s even more interesting is that Ripple market cap continued to grow higher, now at 11.9%, despite the market selloff. This week, Ripple managed to exceed Ethereum’s market cap, which dropped to $12.9 billion. Ripple is now the second largest cryptocurrency by market cap, with $16.7 billion, still well below those $75.8 billion of Bitcoin. It’s very important to note that Ripple had managed to not only preserve but also increase its market cap since the other major cryptocurrencies suffered heavier losses. What should we expect for the near future? If the entire market will continue to edge lower, we should expect Ripple to be hurt as well. Bitcoin continues to have a strong drag on the entire market, so if it will slide lower, Ripple enthusiasts should be in a “wait and see” mode. Same conditions, meaning Ripple will weaken less than then other major cryptocurrencies, will be a strong indicator of further weakness in the future when the entire market will rebound. Ripple had an amazing performance in late 2017 and it could end this year in a positive tone. The company behind the token has some very ambitious plans, could launch some new services in the months ahead, which can have a strong influence on the demand for cryptocurrency. Their goal of improving cross-border payment surely have drawn a lot of attention.